Let’s get real folks…it’s time to step up what we’re doing to help our planet. Do you shop at thrift stores or yard sales? 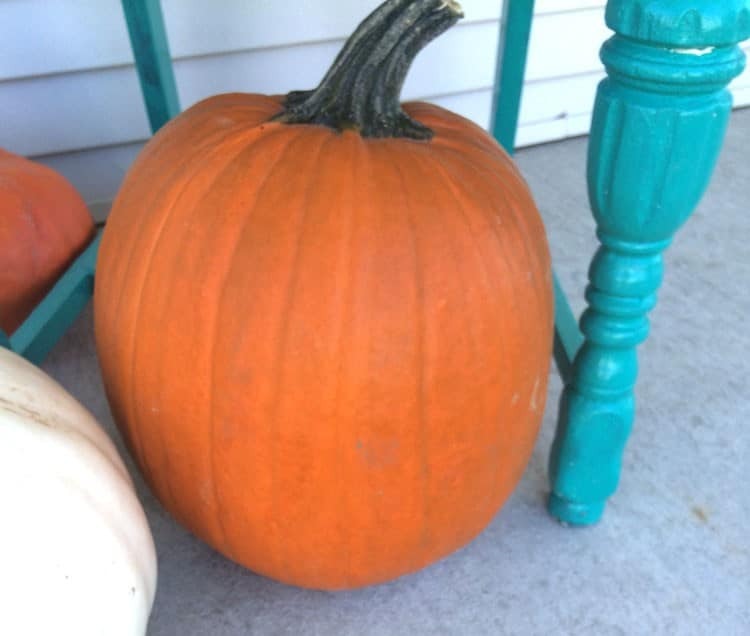 Confession–I do an absolutely LOVE it! Give me thrift store prices any day and I’m in heaven. 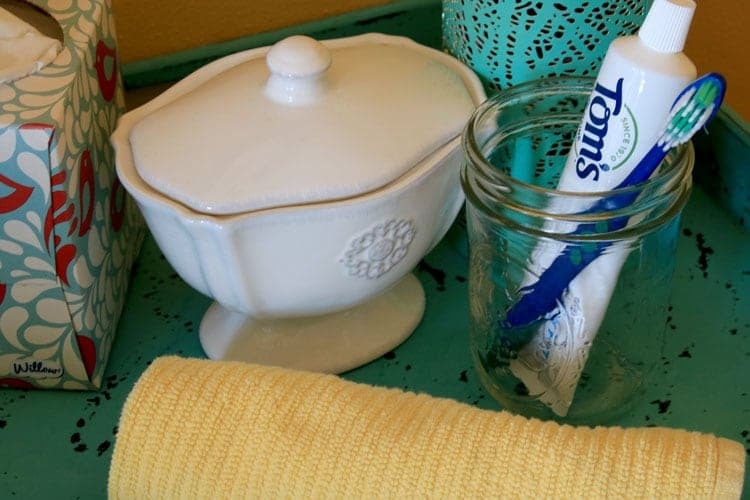 Even if you don’t shop at thrift stores, you can up-cycle older items into a new style. 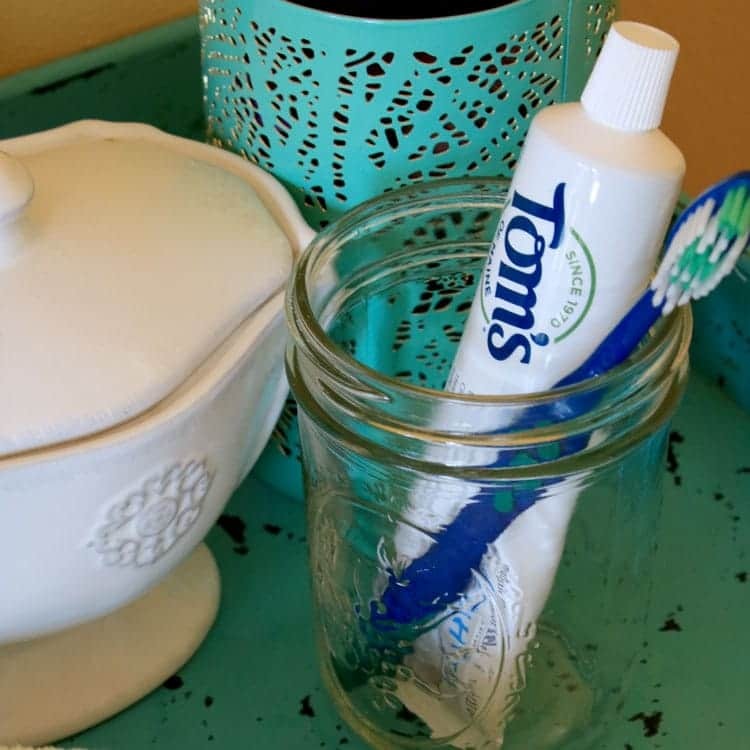 Case in point, using the jar in the picture below to hold toothpaste and a toothbrush. 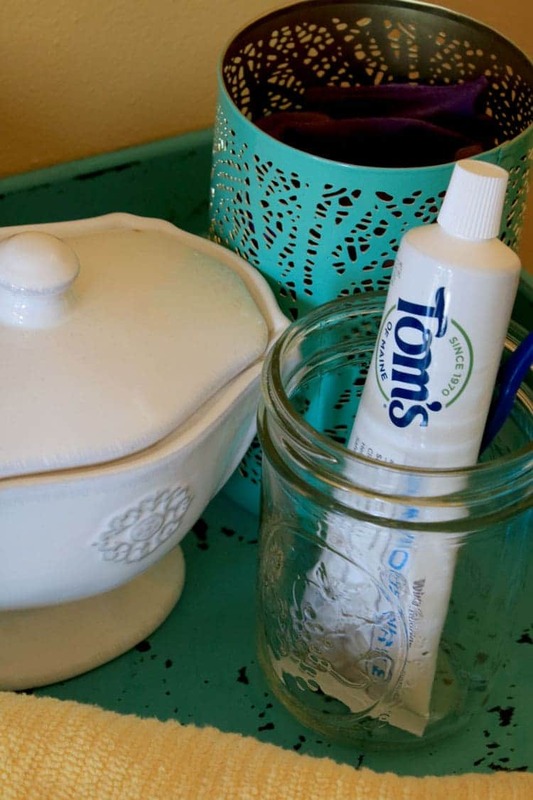 Not only is Tom’s of Maine “Luminous White™” Toothpaste Clean Mint made up of biodegradable or mineral-derived ingredients, I’m also re-using a jar and keeping it out of the landfill. Score! I remember the first time I celebrated Earth Day. 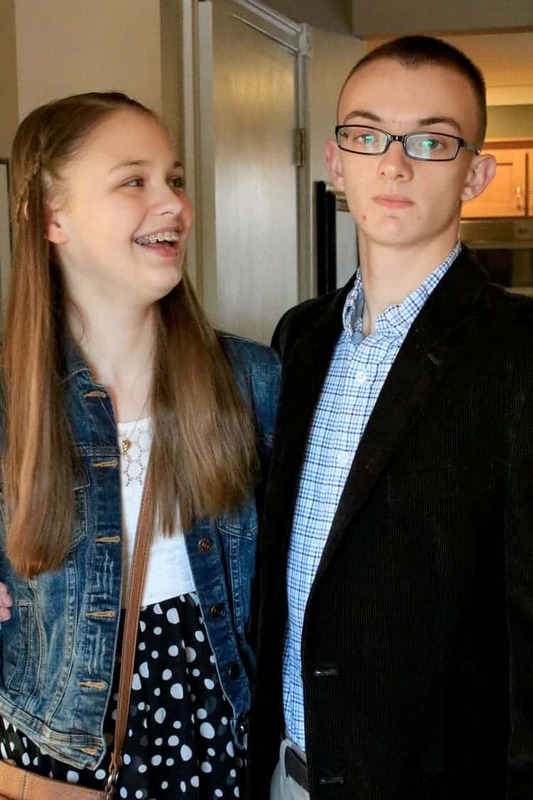 It was probably in 1990, and I would have been in 8th grade. My friends and I had formed a club at our school called STEP–Students Toward Environmental Protection. You see…we lived in a rural community and there was little in the way of recycling being done at all. It just wasn’t available in our area. Truth be told, there are many rural areas where recycling still is not offered. Here I am (below), still doing what I can to help our environment. I use natural products whenever I can because they are such a better option for the Earth than other alternatives. It’s the little things that build up into big things, right? I’ve always wanted to do my part, and try to instill in my children the importance of being kind to our planet and our limited resources. Once or twice a year we do a major clean out of their rooms, because yes, we are heavy consumers and we buy more than we need. However, when we do a clean I always stress the importance of giving back. We donate the majority of things that end up in the not-to-keep pile. And that is HUGE! Not only does donating items keep them out of the landfill, when you work with your children to find things to donate, it teaches them the right way to dispose of things that are no longer being used. We don’t throw unwanted items into the trash can–we give them away to someone else who can use them. We recently did the same thing when we did a huge pantry clean-out. The entire pantry was checked over to make sure that we had no gluten-containing food to help insure that our daughter has 100% safe food available for her to consume. When we were finished, we had an entire laundry basket full of food to donate to a Boy Scout food drive that happened to be going on. Knowing that all of the food that we were unable to use ended up at a food pantry was the perfect end to that story. 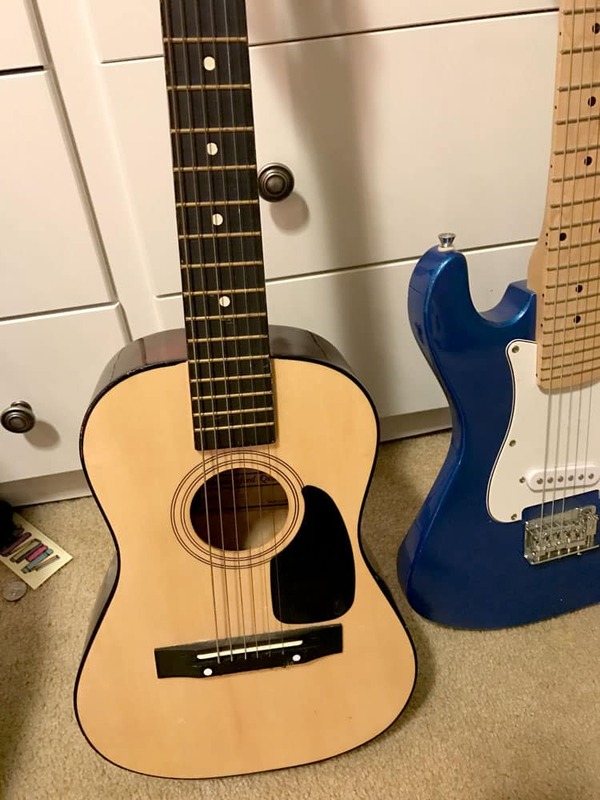 My daughter ended up listing them for sale to ensure they go to another home where someone will use them, rather than to a landfill. Finding ways to give back and reuse, recycle and use products that are safer for our planet is always a good thing. 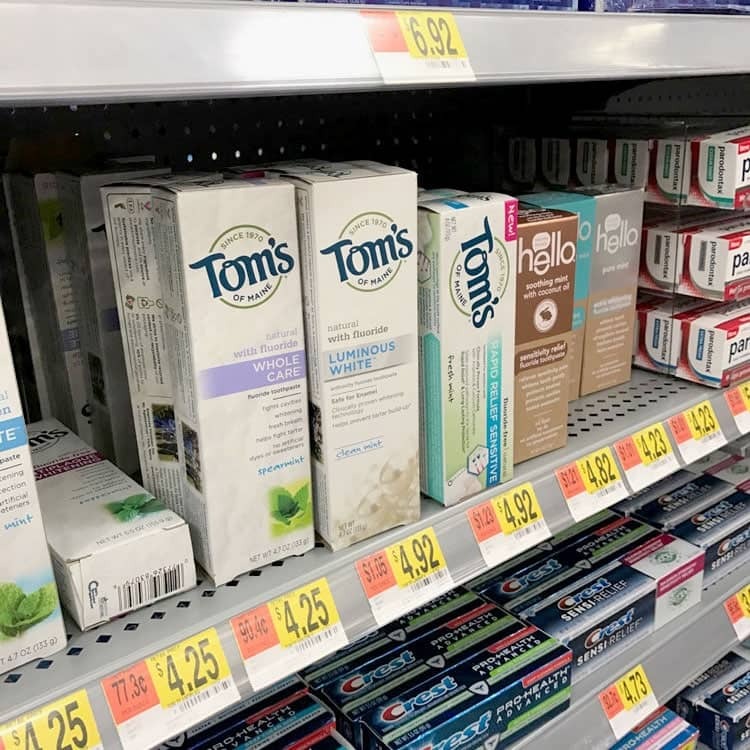 Since I like to shop for products that are 100% sourced from natural ingredients, I was happy to find Tom’s of Maine at Walmart. 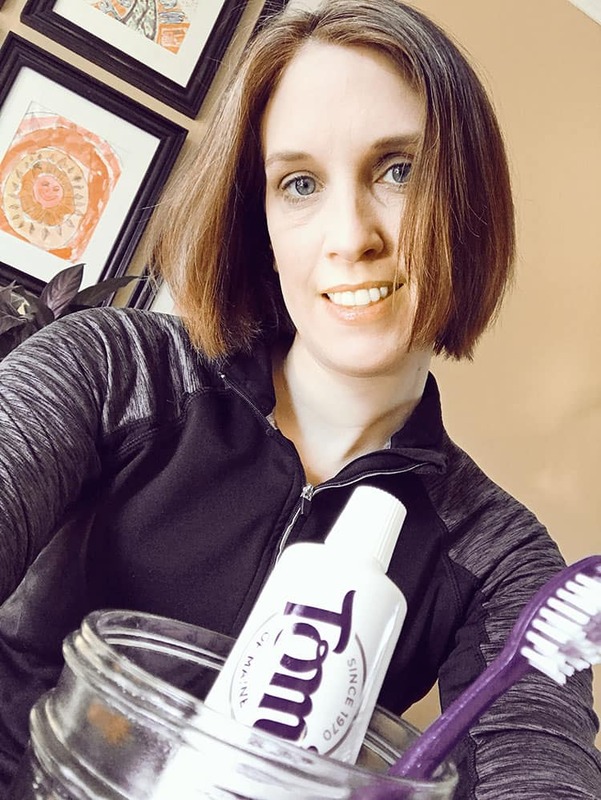 And it’s a gluten-free toothpaste, so that is huge since my daughter can no longer ingest gluten. 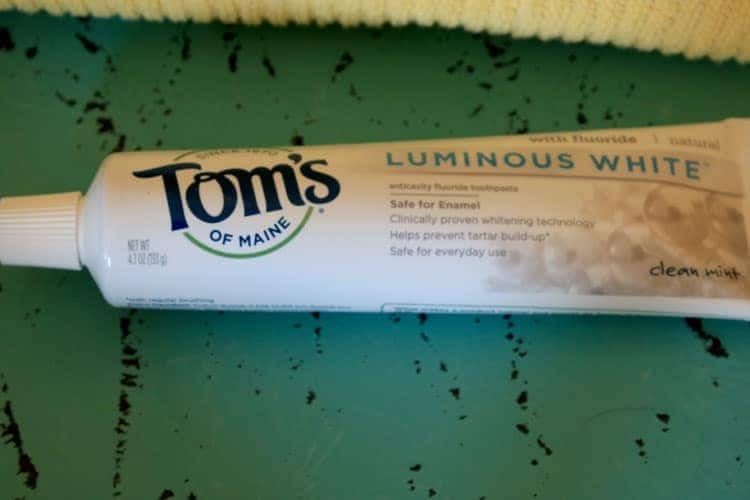 You can use this great Ibotta offer: Earn .75 with the purchase of Tom’s of Maine® Luminous White Toothpaste.